Sheet metal machinery specialist Advanced Sheetmetal Technologies (AST) will again be part of the Austech section of NMW2007, but this time specifically with compact machinery to show smaller companies in the market that they are not being overlooked. And, due to Victoria being the epicentre of laser cutting in Australia, a full range of laser consumables will be on show and staff in attendance will be keen to talk to the market about its impending growth in the Victoria and its heightened dedication to emerging sector of laser cutting. Renowned as the market leader for top end equipment such as in Finn-power, the company has never overlooked the SME sector and consequently will have on working display compact and affordable machinery that can be accessed by companies of any size that want to increase productivity. For instance, the Teda Speedy family of press breaks offers a range of solutions for the bending of small pieces. As the final shape of this equipment is much reduced, the machine does not need any foundation and can operate in a small space yet still prohibits anybody getting into the working area without the operator's supervision. Gasparini press brakes, a longstanding dependable brand for AST across Australia and New Zealand, will also be there for visitors to trial and evaluate how applicable they could be to their own respective businesses. A full range of laser consumables, including optics, can be viewed and assessed for performance. Ideal for the laser market, the InspecVision P65.50 is an optical part inspection machine with its strengths in quality assurance, and reverse engineering of laser parts. 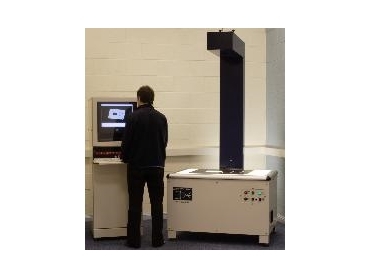 Parts larger than the bed size of the machine can be scanned in stages and automatically rejoined by the software to produce a perfect DXF file. It allows fast checking of component quality, plus gives a reverse engineering facility to further raise productivity levels in the workshop. To support this punch/press and laser technology, there will be the new programming options including software such as Autopol, JetCAM and Metalix.